Hotwire moves into Latin America; Nick Denton sounds off on web journalism. New this morning: Hotwire plants flag in Latin America. London-based Hotwire PR has moved into the Latin American market through a strategic partnership with Brazilian firm Vianews. In the past year, Hotwire established similar arrangements with Yellow Communications in the Netherlands and Active PR in Dubai. Denton sounds off on web journalism. 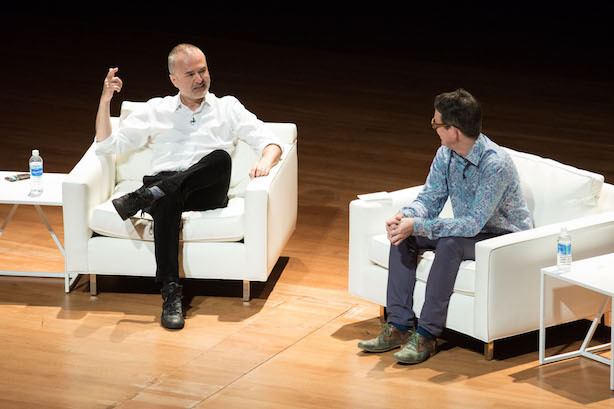 The internet has broken news consumers into warring clans, clamoring for information from niche websites or forums, and often at war with each other over their opinions, Gawker founder Nick Denton said at Percolate’s Transition Conference on Tuesday. He also said web journalists should be focused on more than quantity. Hello, Allo. Google rolled out its AI-flavored messaging app, named Allo, late Tuesday, which it said will allow users to more easily "make plans, find information, and express yourself more easily in chat." The Verge: "It’s fine." NYT: "You may now have more messaging apps than you have close friends." State officials take aim at Obama overtime rule changes. Officials from 21 states filed a lawsuit claiming that the White House’s overtime rule changes, which made employees who earn less than $47,500 eligible for overtime pay, place an undue burden on states. The rules are set to go into effect on December 1. PR industry and agency leaders had mixed feelings about the rule changes when they were announced in May. Leading Wednesday morning’s news cycle. Protests in North Carolina turned violent after police shot and killed a 43-year-old black man, Keith Lamont Scott, who they say was armed and posing an imminent threat. A woman claiming to be Scott’s daughter took to Facebook Live to say her father was not armed. The aftermath on social media, via Mashable. On the campaign trail. Politico: How Trump is winning with gaffes; Trump campaign manager takes swipe at President George H.W. Bush’s age; Bloomberg poll: Top earners backing Clinton after years of supporting GOP; Outrage after Trump says black communities are "in the worst shape they’ve ever been." Mylan CEO set to face Congress. The company’s chief executive, Heather Bresch, is set to testify in front of the House Oversight and Government Reform Committee on Wednesday, amid a new string of hurdles. Wells Fargo CEO John Stumpf was told he should quit his job by Sen. Elizabeth Warren (D-MA) while testifying in front of the Senate Banking Committee on Tuesday.